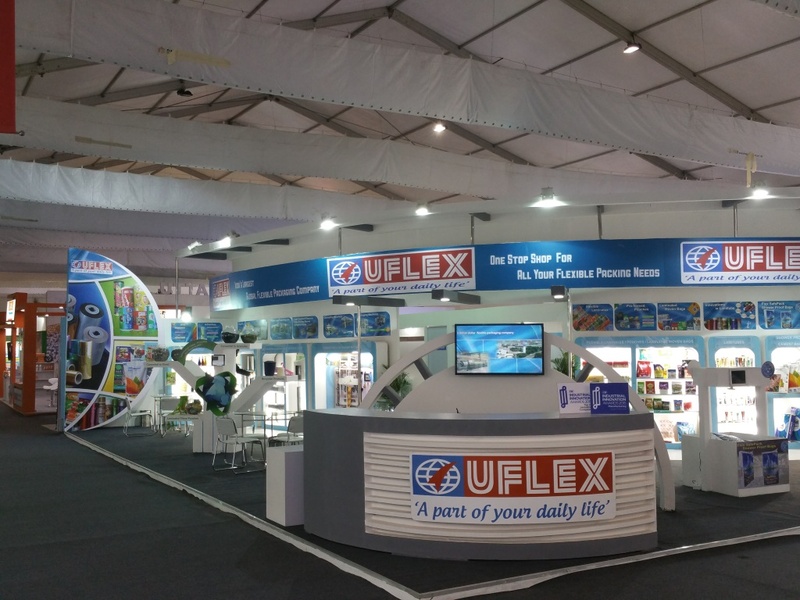 In a spectacular show of technological prowess, India’s largest global flexible packaging company, Uflex Limited is all geared to grab the attention of visitors during Make In India Week at Mumbai. Uflex is at stand 22.21. Echoing Government’s Make in India ethos, the cynosure of Uflex’s exhibit is the upcoming aseptic packaging plant at Sanand, Gujarat for packing liquid products. This plant is being set up with an initial CAPEX of INR 580 crore and will employ around 250 people in the first phase. 90% of the output from this factory will cater to the domestic demand. With this plant going commercially operational early next year, the flexible packaging giant will complete its entire product bouquet offering, which currently comprises solids, semi solids, viscous fluids, pastes, gels, powders, granular materials etc. The Sanand land parcel admeasures 72 acres and the company will subsequently look at expanding its existing manufacturing capabilities in the remaining portion. Yet another important feature to look out for at Uflex pavilion is the organisation’s innovative ‘Equilibrium Modified Atmospheric Packaging’ (E-MAP) that is the most comprehensive shelf life extension solution for fresh fruits, vegetables and flowers in a sustainable bio-degradable package introduced for the first time in the world. FlexFresh™ is a patented formulation of Uflex Limited and is being supplied globally from India. FlexFresh™ offers the maximum shelf life of all packaging solutions available in the market till date. Success stories include pomegranate exports from India to Europe and Bell Pepper from Holland to USA by sea freight with minimal weight loss and intact harvest quality on arrival. Uflex has always stood tall with its commitment towards ‘Mother Nature’ – a fact that will be prominently highlighted during the Make in India Week exhibition. The fact that packaging films and laminates are recyclable/ re-processable has been proved beyond reasonable doubt. 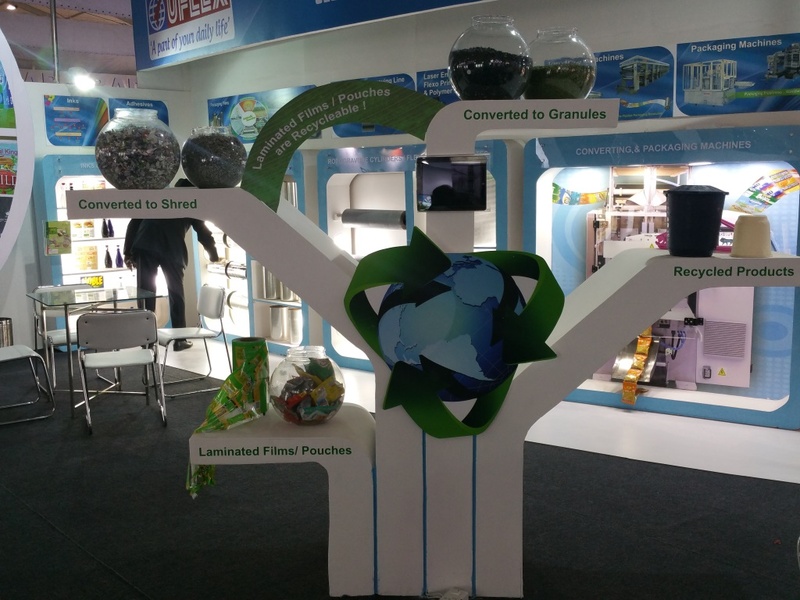 Uflex’s exhibit will further educate the visitors about the eco-friendliness of flexible packaging products. Today brands are increasingly reeling under the threat of counterfeiting and plagiarism. Uflex offers the most advanced brand protection solutions under its holography range including but not restricted to unigram, latentogram, stamping foil, fresnel lens etc. that secure brands from look alikes. At display during the Make in India Week would be such anti-counterfeiting solutions by Uflex. Innovation to create value added differentiation is a way of life at Uflex and the organisation deploys this to the hilt to the best advantage of its clients. During the Make in India Week, the company is showcasing its award winning Flex SafePack for packaging building materials that has been specially engineered to address two conflicting requirements i.e. providing de-aeration holes required for air to escape during filling and prohibiting moisture from entering into the bags during storage and distribution. Uflex has been able to achieve this by producing a hermetically sealed flat-bottom woven polypropylene (WPP) shower proof bag. The bag laminate structure is put through a special nano embossing and finishing operation after extrusion coating the inner surface of the bag. SafePack can be printed with high quality graphics comprising up to 10 colours using high-definition reverse rotogravure printing imparting a premium look to a commodity product. Mr. Ashok Chaturvedi, Chairman and Managing Director, Uflex Limited soon after the inaugural session of the exhibition said “It is an absolute honour for Uflex to showcase the most contemporary and innovative flexible packaging solutions at such a majestic platform like Make In India Week. Uflex with its roots in India stands committed to the prosperity of our great nation. Our commitment towards superior quality, ability to process orders of any quantum, timely deliveries, speed to market reach, innovation to create value added differentiation, eco-friendliness and unimpeachable customer service in the field of flexible packaging has been contributing to enhance the image of Brand India over the last three decades and shall infallibly continue to do so”.